and he continues “And that’s what my work is about” as an artist who explores the meaning of money in his work. Boggs died in 2016 with far less recognition than he deserved. 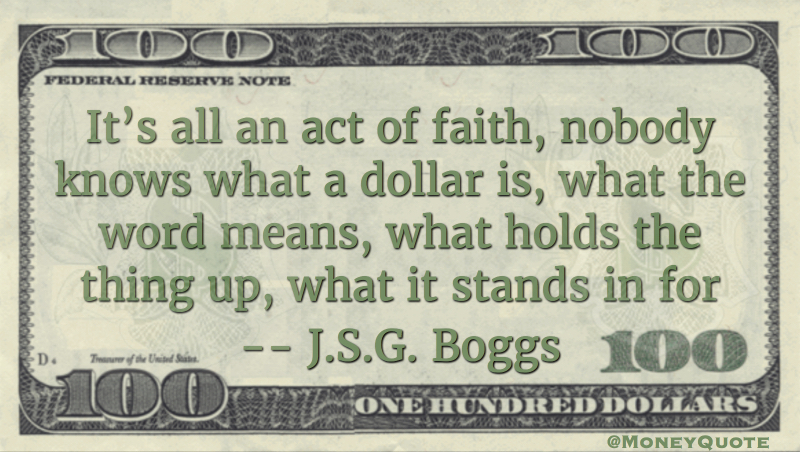 Visit the related quotes from Boggs shown below for more on a great artist.